There are 19 players remaining in Event #6, which means we are now hand for hand, until the money bubble breaks and the remaining 18 players make the money. 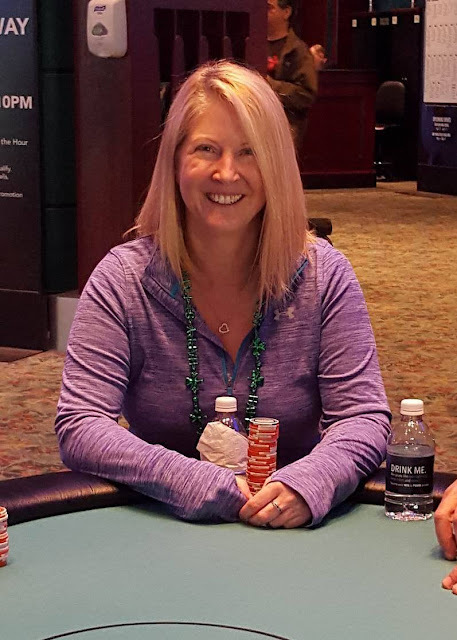 This tournament will play though level 20, and then bag and tag for the night. Day 2 play will resume noon tomorrow (Friday March 18th). 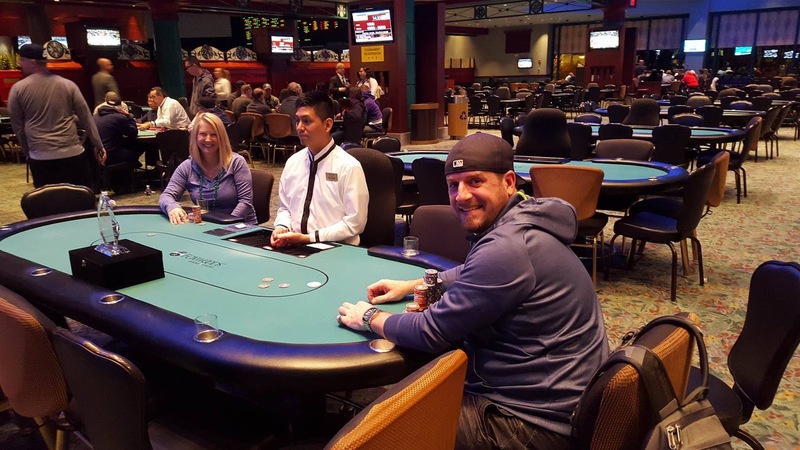 It's now heads up between Scott Blake and Lori Morin, who happen to be a couple. 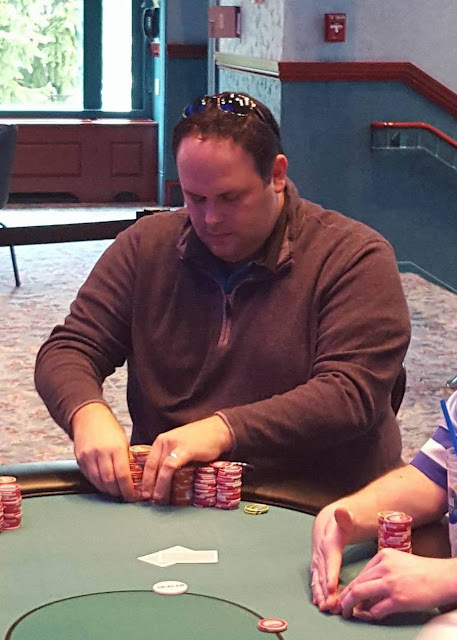 Blake has the chip lead, but Morin is showing Blake she is not willing to back down and give up. They are both fighting for the trophy and first prize money. 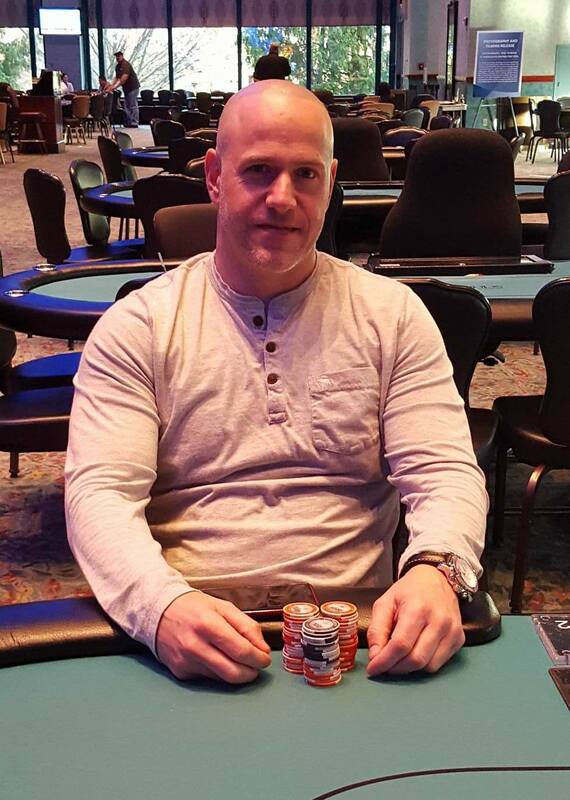 After the last hand of play, Brad St. Vincent is the winner of Event #5 ($300 NLH w/ Re-Entries). St. Vincent takes home $18,506, and the trophy. 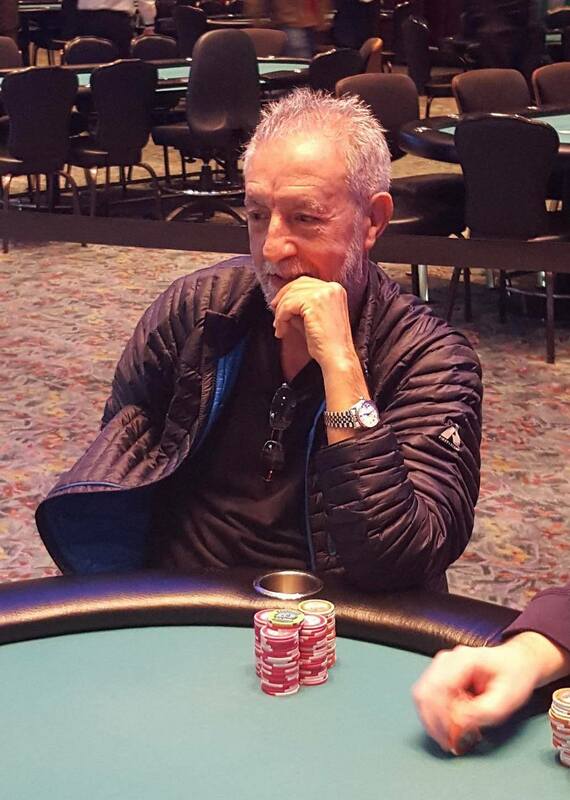 James Dyson shoves all in, and Brad St. Vincent quickly calls. "Oh, you have me dominated," St. Vincent says. 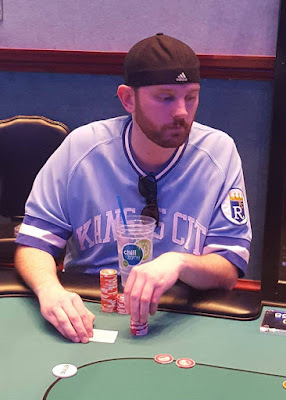 The flop comes [js][9d][kd], giving Dyson a pair of kings, but also giving St. Vincent a pair of jacks, a flush, and a straight draw. "It's never easy is it," St. Vincent says to Dyson. 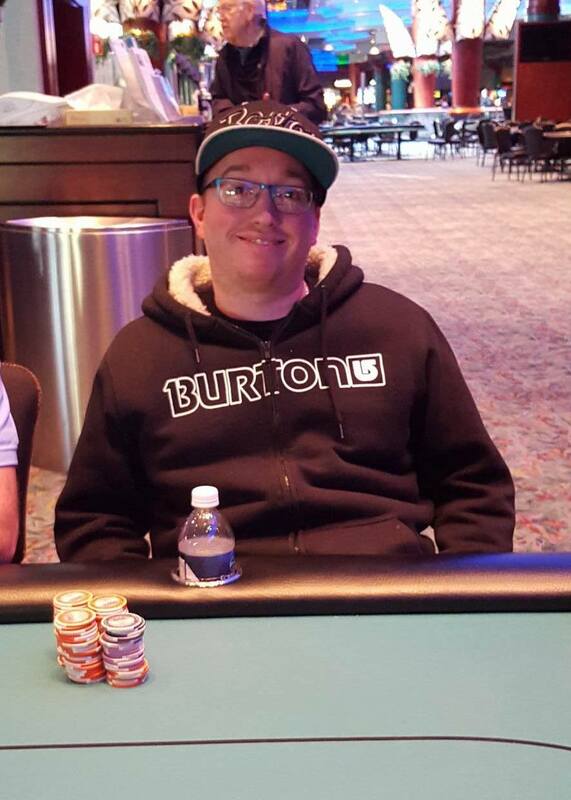 The [7h] on the turn is safe for Dyson, but the [qs] on the river gives St. Vincent the straight. "And he makes his straight, it can't get any worse than that," Dyson says with a smile on his face. 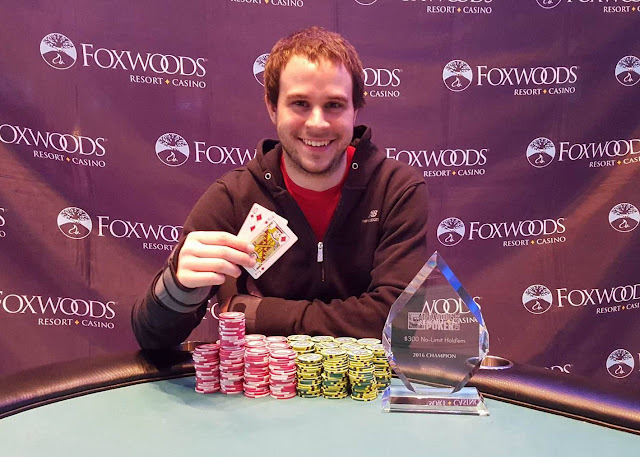 James Dyson is eliminated in 2nd place, paying $11,299, and Brad St. Vincent takes it down, winning $18,506 and the trophy. 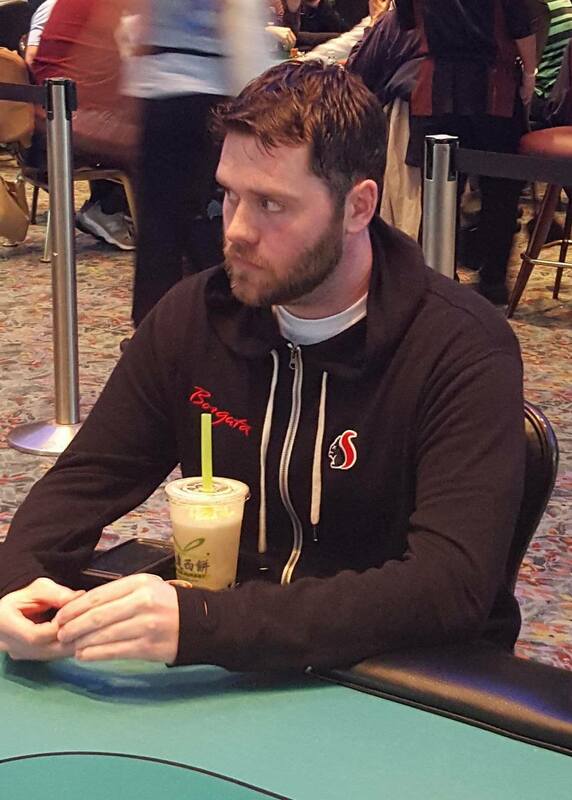 On a board reading [ah][qh][2d][7d], there is a betting war, resulting in brad St. Vincent being all in. St. Vincent turns over [2s][2c] for a set of twos. James Dyson says, "Oh man, you hit your set," as he turns over [ad][jc]. 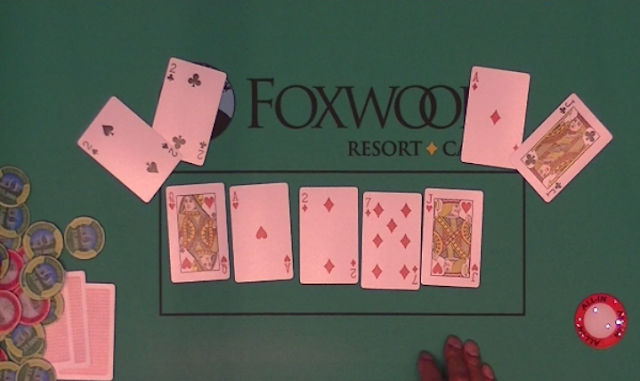 The [jh] on the river gives Dyson two pair, but St. Vincent's set is good for a full double up. There were a total of 43 entries into today's $300 PLO High Only event. John Muldoon raises to 200,000 on the button. 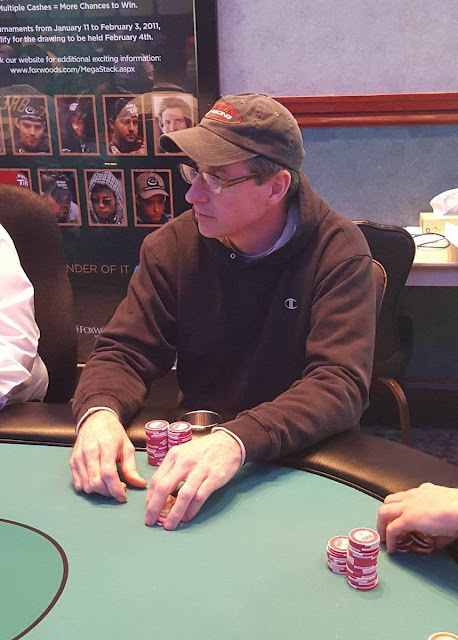 James Dyson folds his small blind, and with action on Brad St. Vincent in the big blind, he announces that he is all in. Muldoon quickly calls. The flop comes [kc][9h][3d], and the [qs] on the turn gives St. Vincent a set. 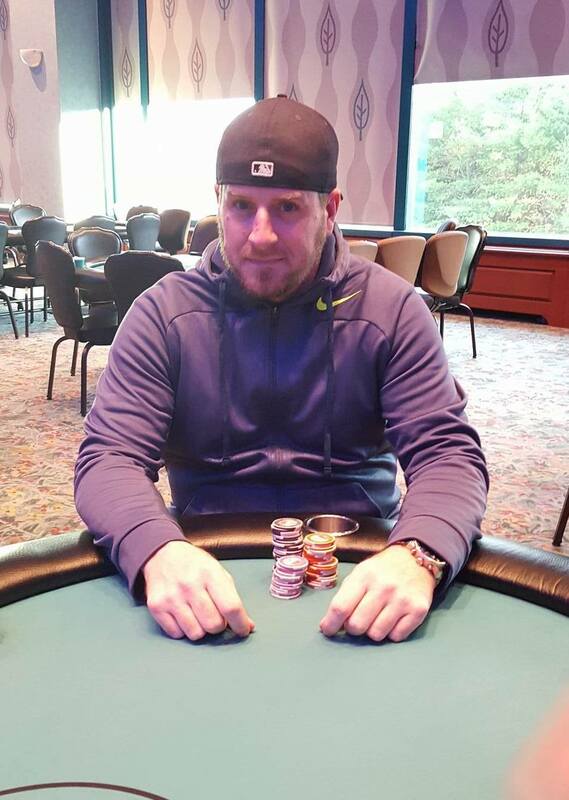 The [2s] comes on the river, and Muldoon is eliminated in 3rd place, paying $7,465. First to act is John Muldoon who raises to 200,000. James Dyson calls on the button. 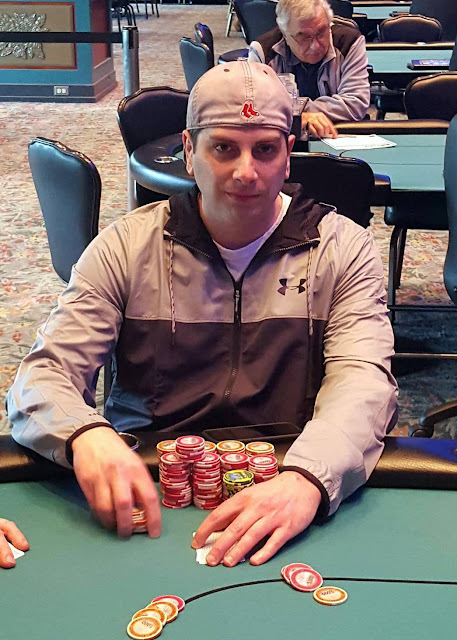 Rob Ricciuti shoves all in from the big blind. 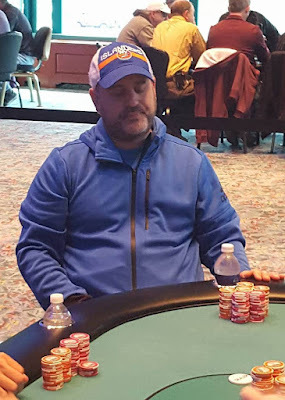 Muldoon tanks for two minutes before releasing his hand, and Dyson quickly calls. The board runs out [qs][7c][5h][7h][2h], eliminating Ricciuti in 4th place, with a $5,931 payday. 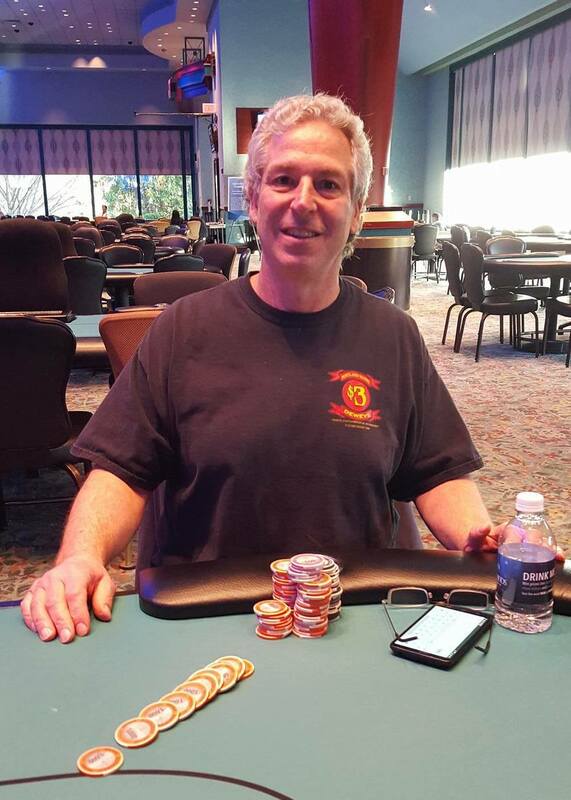 There were a total of 158 entries in today's $400 NLH Seniors event. On a board reading [kh][10d][7h], H. Trillo shoves all in, and Brad St. Vincent quickly calls. 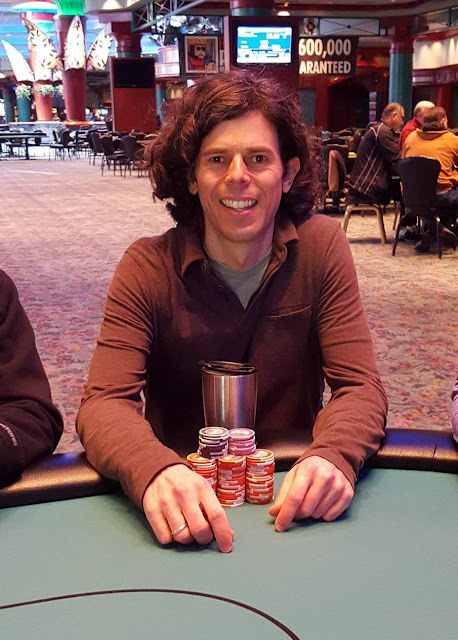 The turn is the [4s], and the river the [10s]. 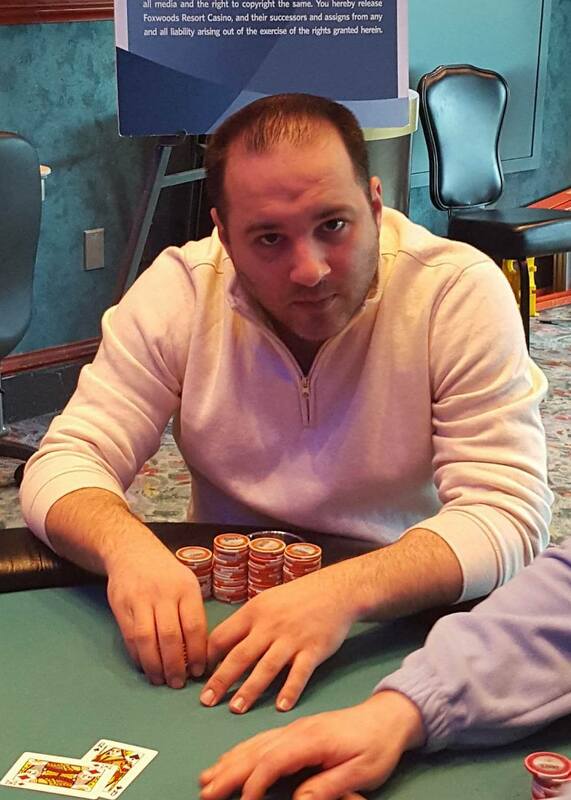 After a close count of chips, it's determined that Trillo is eliminated in 5th place. Bob Ricciuti shoves all in from the cutoff, and Brad St. Vincent calls in the big blind. "The Terminator," Ricciuti says to St. Vincent jokingly. 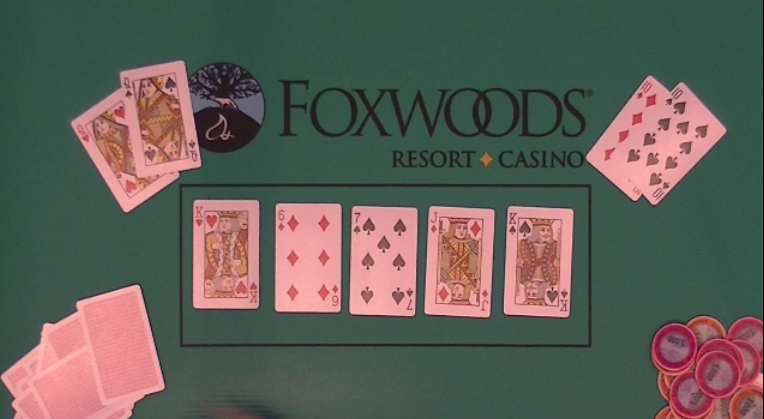 The board runs out [qh][jc][6h][3c][5c], awarding Ricciuti a full double up. 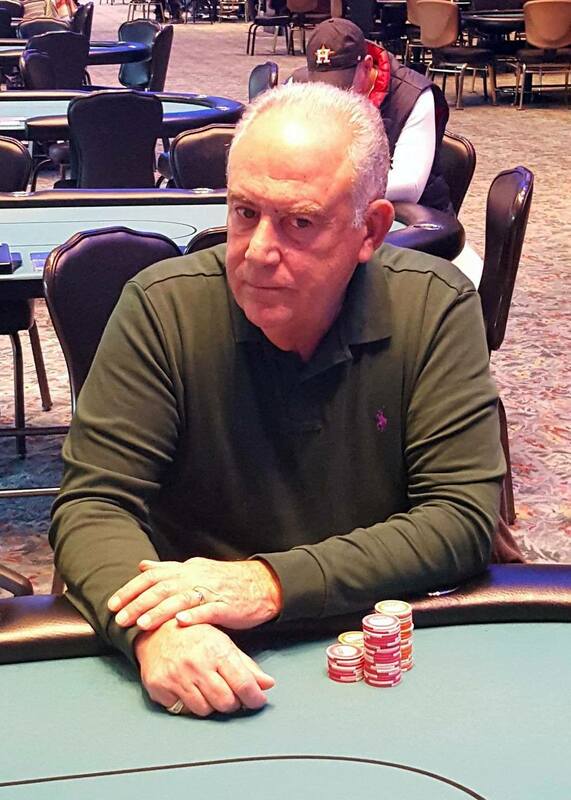 Brad St. Vincent raises to 110,000 in the cutoff, and H. Trillo calls on the button. The small blind folds, and John Muldoon shoves all in from the big blind. St. Vincent pauses for a moment before announcing that he too is all in, for more. Trillo folds. There is a [5s] in the window, but the [4c] and [9d] are right behind it, giving St. Vincent a set of fours. When the [10d] comes on the turn, giving Muldoon a flush draw. The [qd] brings that flush, and Muldoon stands up out of his chair in excitement exclaiming, "Yes!" 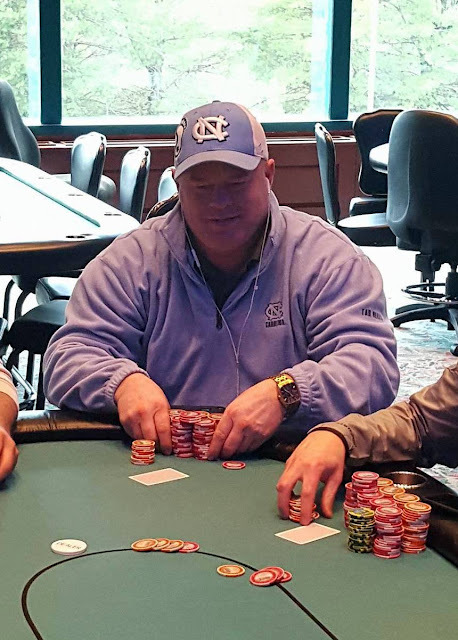 Brad St. Vincent shoves all in from the cutoff, and Robert Timmons calls in the small blind. 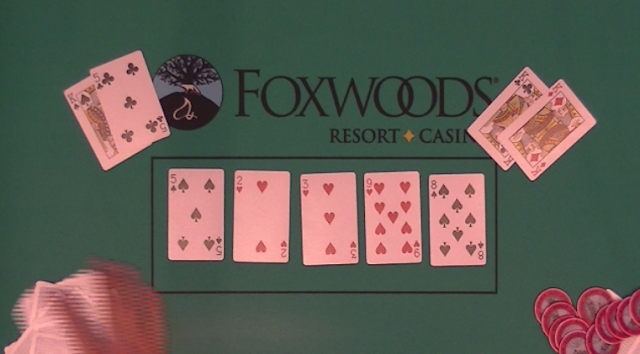 The flop comes [10d][6h][5d], giving St. Vincent a flush draw. 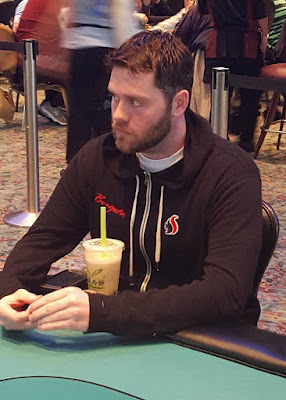 When the [2d] comes on the turn another player at the table says, "Bounty Brad strikes again. This guy has eliminated all but one of the five knockouts." The [js] comes on the river, and Timmons is eliminated in 6th place, taking home $3,551. 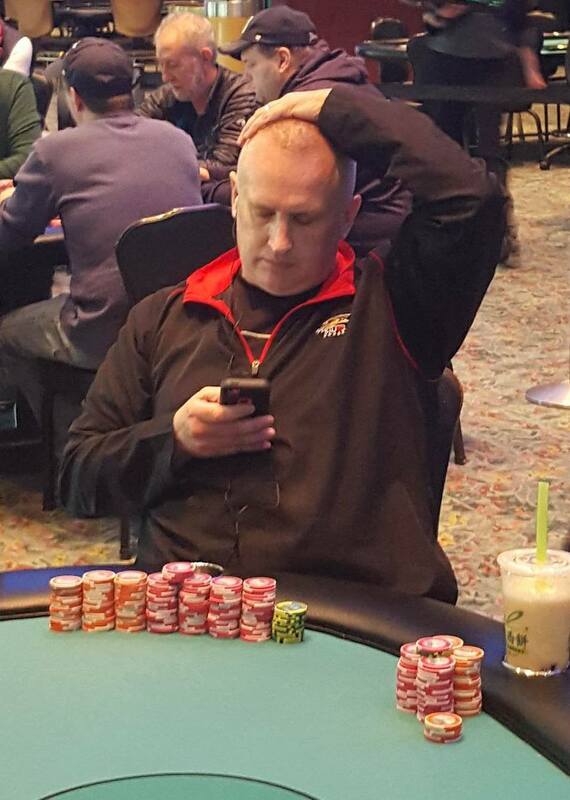 Action folds to Steven Brackesy in the small blind, who open-shoves all in for around 850,000. Brad St. Vincent quickly calls in the big blind. The board runs out [8d][8c][ks][kc][qh], eliminating Brackesy in 7th place. 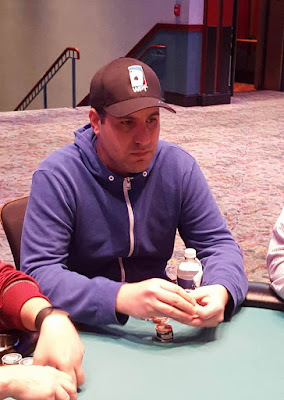 Luke Vrabel shoves all in on the button, and Steven Brackesy goes into the tank in the small blind. After a minute of thinking, Brackesy announces that he is all in. 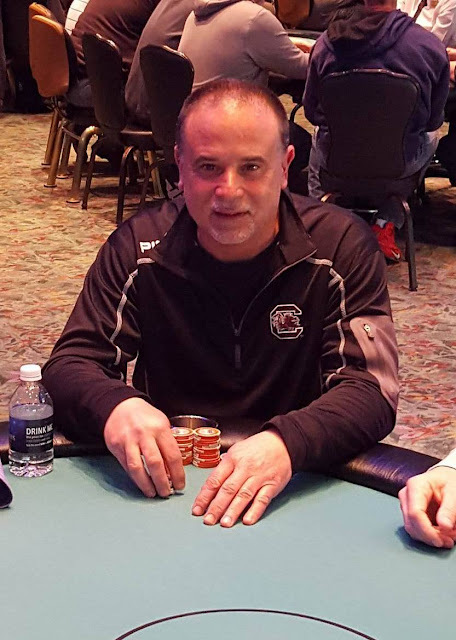 Brad St. Vincent shows an aces in the big blind and mucks his hand. "Oh, you had an ace," Brackesy says disappointingly. "Yeah, I was calling if you didn't raise," St. Vincent replies. The board runs out [js][8c][2d][5c][2c], eliminating Vrabel in 8th place. 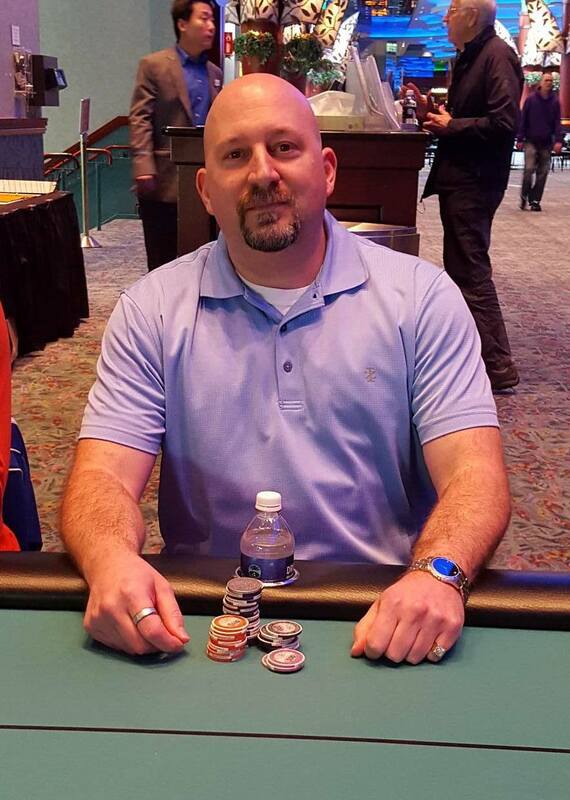 He will take home $2,300. 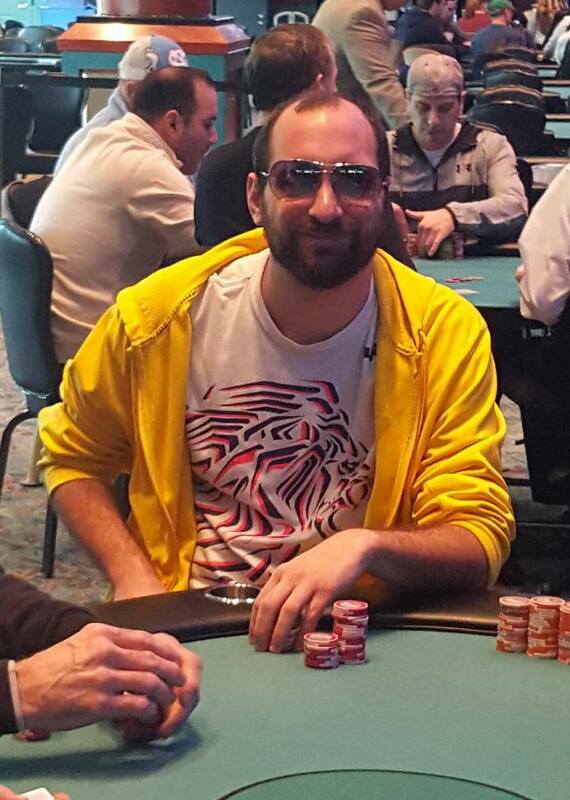 John Muldoon raises in the cutoff, and Steven Brackesy announces that he is all in from the big blind, having Muldoon covered. Muldoon quickly calls. The board runs out [5s][2h][3h][9h][8s], awarding Muldoon a full double. Matthew Bloch shoves all in, and Brad St. Vincent calls. The board runs out [5d][7d][2c][2h][10c]. St. Vincent's threes hold up, and Bloch is eliminated in 9th place, taking home $1,789. 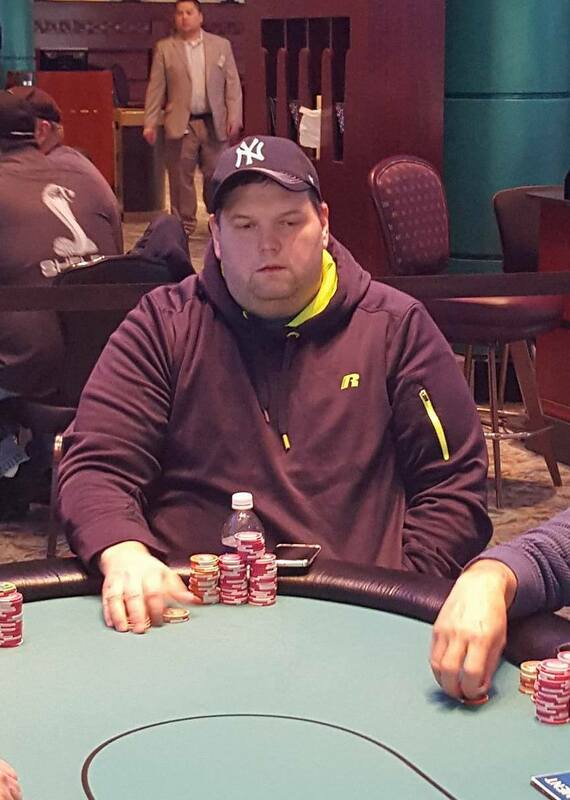 Ernie Hothusen shoves all in from middle position for 175,000. 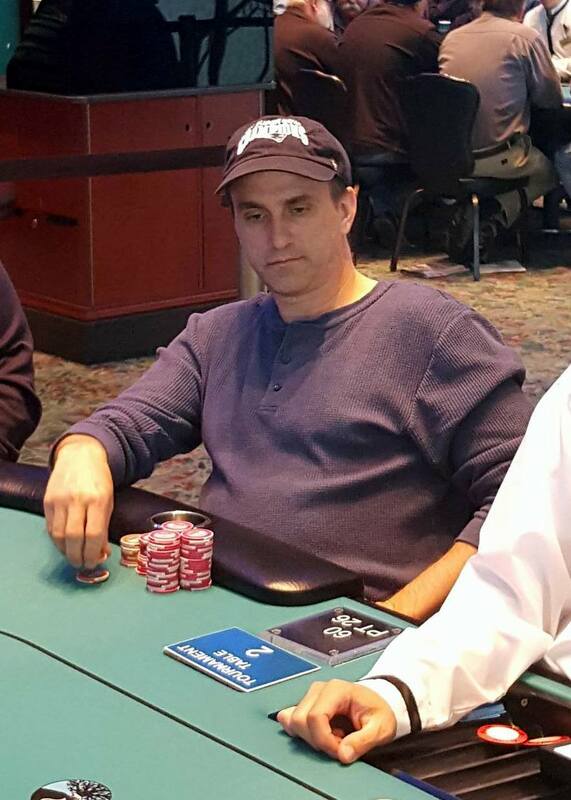 Action folds to Brad St. Vincent in the big blind who quickly calls the all in. 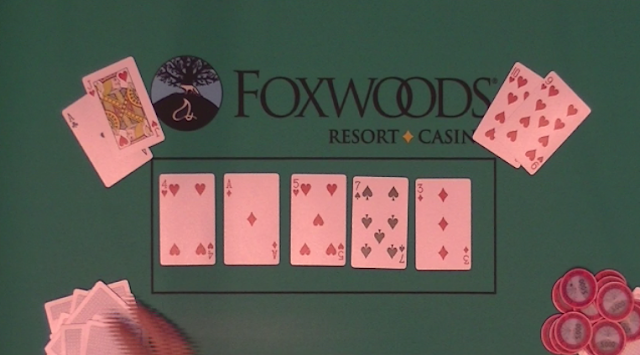 The flop comes [ad][5h][4h], giving St. Vincent a pair of aces, but also giving Hothusen a flush draw. The [7s] comes on the turn, and the [3d] on the river, eliminating Hothusen in 10th place. 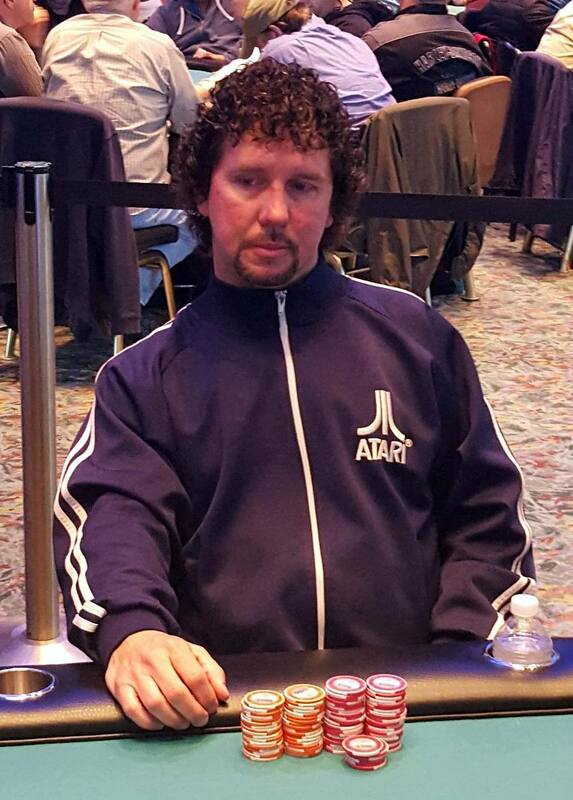 On a board reading [10s][6s][6c][7d], Steven Brackesy checks in the small blind, and Brad St. Vincent bets 49,000 in the big blind. Brackesy calls. Brackesy checks again when the river comes the [3h], and St. Vincent bets 103,000. Brackesy thinks for a moment before releasing his hand. Brian Egan shoves all in and is called by Robert Timmons. 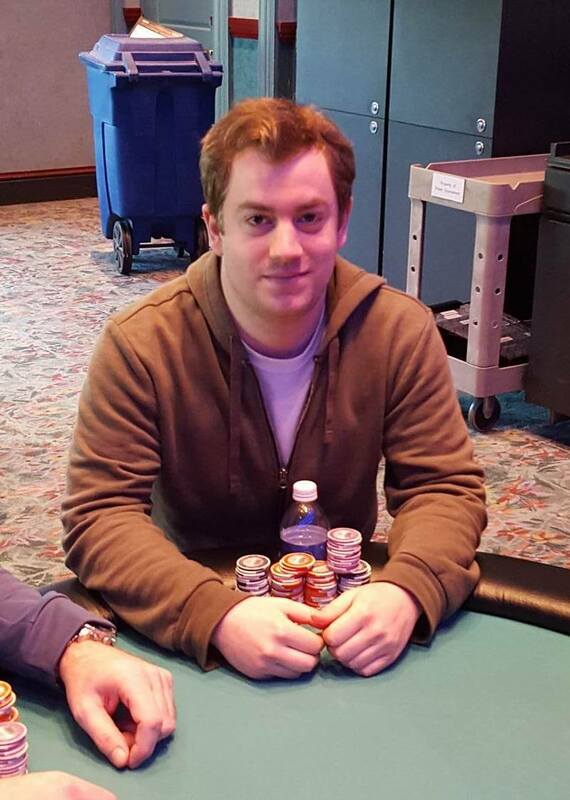 The board runs out [kh][6d][7s][jd][ks], eliminating Egan in 14th place, with a $1,089 payday. James Connolly is all in and has been called by H. Trillo. The flop comes [10c][7c][2c], giving Connollya set. The [jc] turn is safe for Connolly, but gives Trillo an open ended straight draw. The [9s] river brings that straight, and Connolly is eliminated in 15th place, paying $1,089. On a board reading [kd][9c][6d], Brad St. Vincent shoves all in, and Robert Napoli calls. 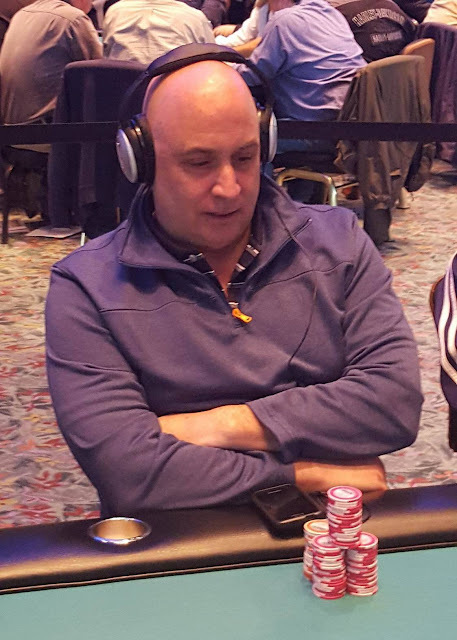 The turn is the [2s], but the [9d] on the river gives St. Vincent the flush, and Napoli is eliminated in 17th place, taking home $968. 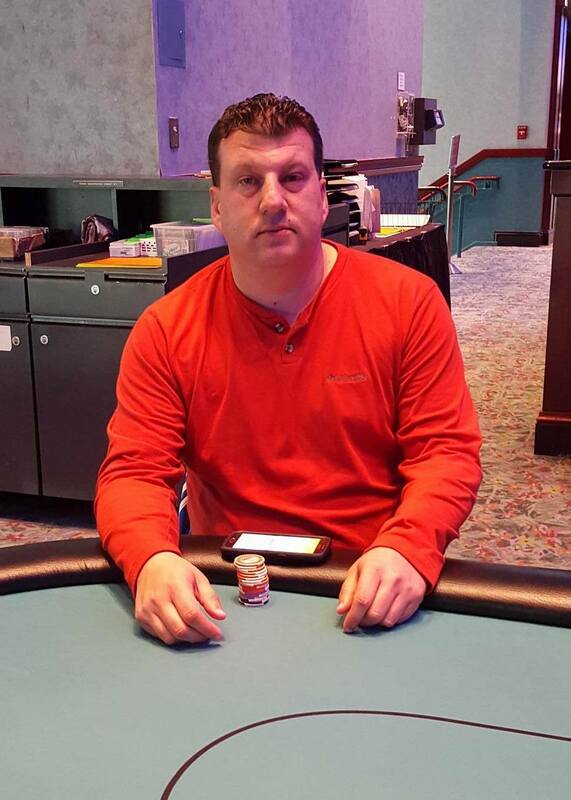 The $300 PLO High Only event is now under way. Anyone wishing to enter/re-enter has until the start of Level 7 to do so. Structure information can be found here. There are currently 95 players in Event #6. 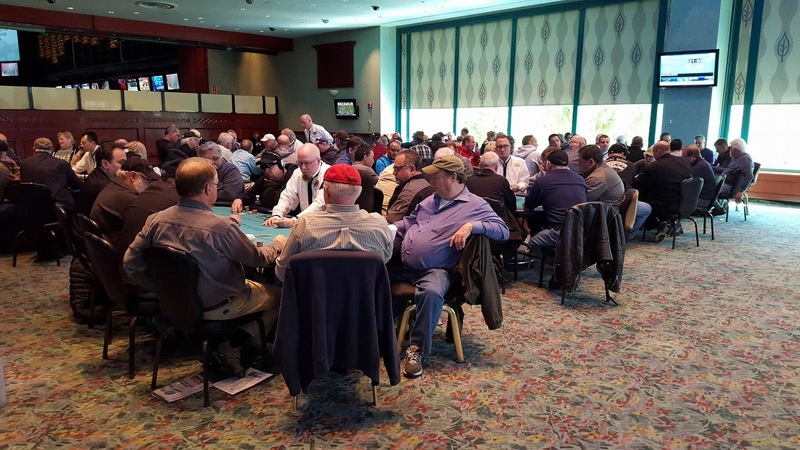 They are in the midst of Level 3 with 75/150 blinds. Anyone wishing to enter or re-enter this tournament can do so until the start of level 9. Structure sheet can be found here.